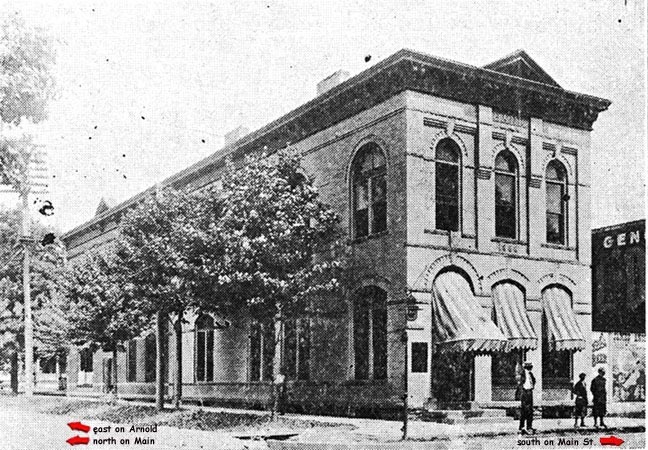 The First National Bank of Port Allegany, which is the consolidation of the First National and Citizens Banks, during the years of its existence- form the first day it opened in 1888 until the present time- has been uniformly as a money institution, highly beneficent to the interests of this community. 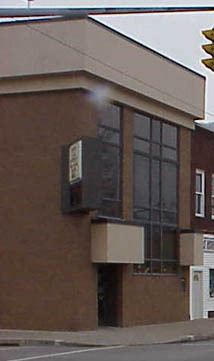 The bank is located in its own building on the corner of Main Street and Arnold Avenue. the bank's capital stock (1913) is $50,000.00 assets at the present time, surplus $50,000.00, assets at the present time $558,000.00 and it does a general banking business. The officers are: Clare Willard, President; C. A. Dolley, Vice President; M. L. App, Cashier; and W. J. Barrho, Assistant Cashiers; the Directors are: C. A. Willard, C. A. Dolley, P. F. Bard, J. A. Weineman, M. N. Metcalf, B.C. Taber, PF Bard, J. M. Butler, Carl Wolford, g. B. Sparker, all prominent in the community and enjoy the respect and confidence of all citizens. This time honored institution of which they are the head has contributed much to the prosperity and well being of the people of McKean County and especially Port Allegany. 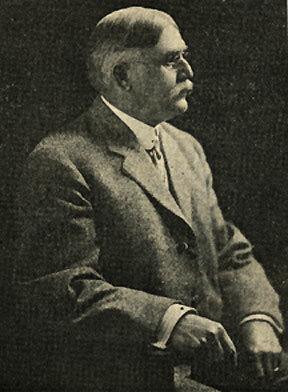 Samuel Walter Smith has been a resident of Port Allegany for since 1873, most of which time he has been engaged in the active practice of law, being district attorney from 1878-1882. During this period he invested largely in Port Allegany real estate and business enterprises. for twenty years he was principal owner of the First National Bank and its president most of the time. He is also president and principal owner of the Port Allegany Water Company and has other important business interests. He is a leading factor in borough enterprises and is a friend of civic progress and improvement. His legal mind, mature judgment and business experience render him a safe leader and one held in high esteem. Chair People Elected for First National Bank The First National Bank held their annual election last week and several changes were made. B. C. Gallup was elected president; S. W. Smith, vice president, Thos. McDowell, cashier; Mr. J. S. Rowley former cashier having tendered his resignation. Mr. Rowley has ably filled that important position from the organization of the bank to the present time. He has always been an obliging, pleasant official with whom to deal and has many friends in town who will miss him sadly in their business with the bank.